10,000 miles. Three mountain ranges. Two deserts. Each year, teams from around the world come together to cross one-third of the earth’s surface in the philanthropic adventure of a lifetime. 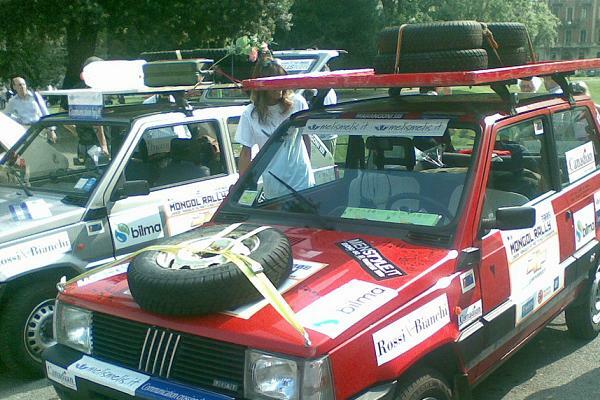 The Mongol Rally was formally organized by Tom Morgan in 2004, after he and some friends got the crazy idea to buy a few diminutive second-hand cars and see how far they could make it from London to Mongolia. They didn’t succeed, but that idea spawned the formation of The Adventurists, what may now be the world’s premier charity rally organization. 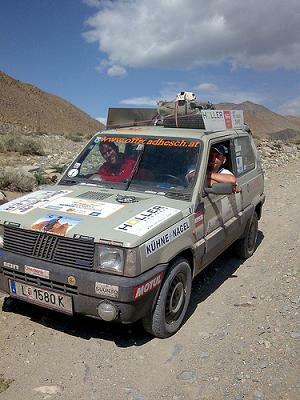 In order to participate in the Mongol Rally all teams are required to raise at least £1000 for one of three official charitable organizations (in addition to the funds needed to actually complete the journey itself). Each organization has a part in improving the lives of Mongolian people through the provision of medical care, education, training programs, and/or water and sanitation programs. Any money raised over and above the initial £1000 may go to the charity of your choice. Teams set off from one of three departure points: England, Spain, or Italy. All teams have two days to reach a set location in the Czech Republic, where they are treated to an official send-off party—a full day and night of live music and general carousing. After this single checkpoint the teams are on their own for the next 9,000 miles or so until they get to the capital of Mongolia, Ulaanbaatar. Want to take a trip through the sweltering deserts of Iran? How about the reclusive dictatorship known as Turkmenistan? Go ahead—there’s no set route! There are also no support teams. You are truly on your own. That would be hard enough, but that’s not all. There are rules in this rally. Number one is the 1.2 liter rule. The car you take mustn’t have an engine over the size of 1200CC’s*. 2009 is also the first year in which your car may not be over 10 years of age—a rule that has unfortunately raised the cost of entry for many participants. The other major rule is no GPS systems. Not that they’d help you that much—roads as most know them are few and far between once you hit the deserts of western Kazakhstan. Add to that the fact that many of the roads that do exist were last mapped by the Soviets in the 1960s, and that rivers tend to appear out of nowhere due to seasonal snow melt, and you can see why such a device would be little more than a drain on the vehicle’s battery. Old school paper maps and an analog compass all the way. 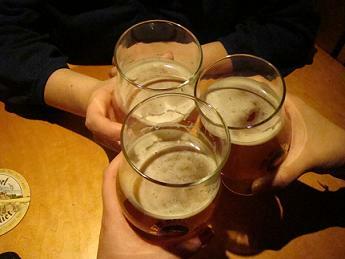 If you’re part of the lucky 70% who actually make it all the way, you will be treated with a pint or two, and have a chance at perhaps the best reward of all: a clean place to sleep (indoors!) and a warm shower. You also get bragging rights for having completed such an amazing journey, as well as the fact that you have helped change the lives of those in need. Most teams stay for at least a few days to recover and do some sight-seeing, choose to donate their vehicle to charity, and fly back home from there. I’m lucky to be a part of one of the teams competing in the 2009 rally. It’s not an easy task to prepare for a journey of this magnitude—I’m spending dozens of hours getting ready, and will be devoting about three months of my life and just about every cent I have to doing this. But no matter what the up-front cost, I’m betting that it will all be worth it in the end. Wish me luck! To follow along on my journey, check out my team’s website. *You may technically go over if need be, but there will be a fine of £100 for every liter, and you’ll hear no end to the mockery from fellow ralliers. An exception to this rule is if you are taking a vehicle with sufficient comedy value (e.g. an ice cream truck or double-decker bus), or a vehicle that will be useful to the local populace once donated (e.g. ambulances). What’s the craziest thing you’ve ever done for charity? Or the longest road trip you’ve taken? Share your memories below!